Titan iPad 2 Protective Case With Integrated Wireless Bluetooth Keyboard for $24.98 shipped! You are here: Home / online shopping / 1SaleaDay / Titan iPad 2 Protective Case With Integrated Wireless Bluetooth Keyboard for $24.98 shipped! 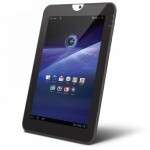 1SaleADay has a GREAT deal today if you’re looking for a case for your iPad 2! Get thisiPad 2 Bluetooth Multifunction Case and Keyboard With Built-in Horizontal and Vertical Viewing Stand for just $24.98 shipped! This item is available TODAY ONLY, while supplies last. 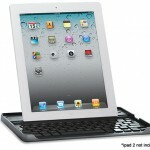 I purchased a different keyboard and case for my iPad 2 and paid a LOT more than that! 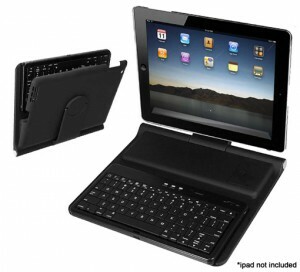 Operating distance of up to 30 ft.
Titan Bluetooth Case and Keyboard for iPad 2 or 3 for $24.98 shipped! 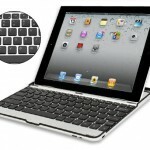 Logitech iPad 2 Keyboard & Carry Case With Bluetooth, Aluminum Frame and Shortcut Keys for $19.99! 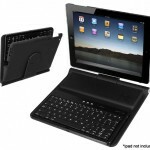 Logitech iPad 2 Keyboard & Carry Case With Bluetooth, Aluminum Frame and Shortcut Keys for $34.99!